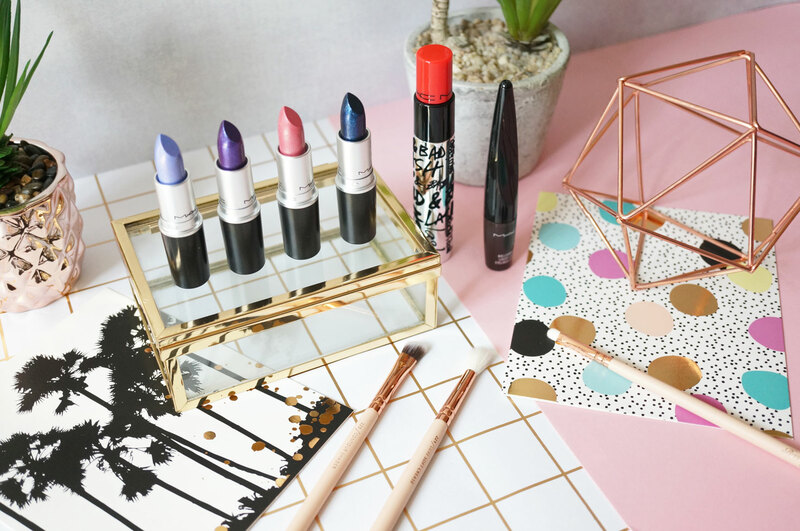 You’ve probably heard about the Rollerwheel Liquid Eyeliner (£16.50) or ‘pizza cutter’ eyeliner by now, as it’s been talked about quite a lot recently. 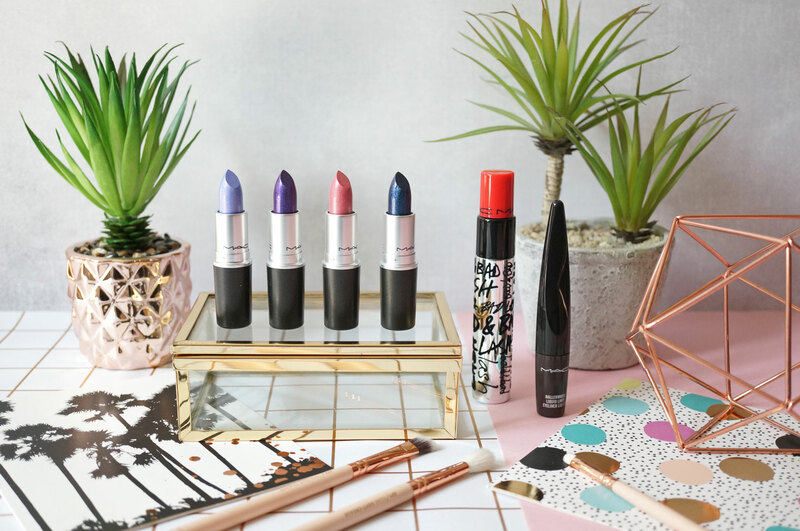 This completely new and innovative approach to eyeliner has got beauty fans across the globe excited – the idea being that a teeny tiny wheel is ran across the lash line to give a perfectly even and straight line – but does it actually work? Well, rather like the Benefit They’re Real Push Up Eyeliner, which was quite a weird and wonderful concept at the time of launch, the roller wheel does take a bit of getting used to. The tiny spinning disc does give a nice sharp line, which is very fine indeed, and would take most people quite a few goes to get it to a decent thickness. 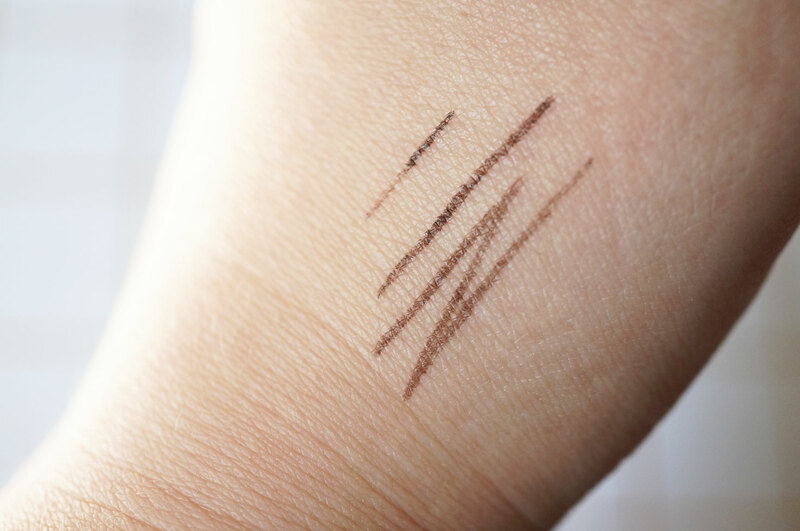 However, if you like a super thin line applied close to the lash line, this could be the product for you. Be prepared to practice though as the applicator does take a bit of getting used to. This is available in Black, Brown and Blue, in both matte and shine finishes. 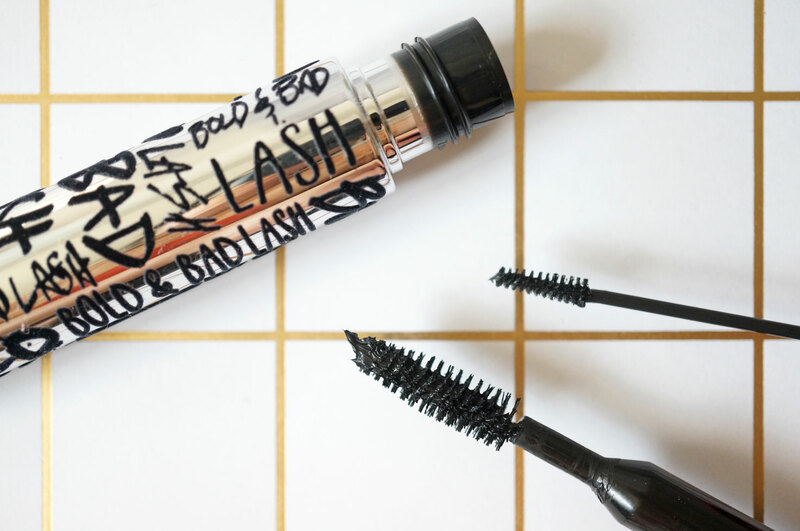 Next I have the new Bold & Bad Lash Mascara (£19.50) – this mascara is basically two products in one. 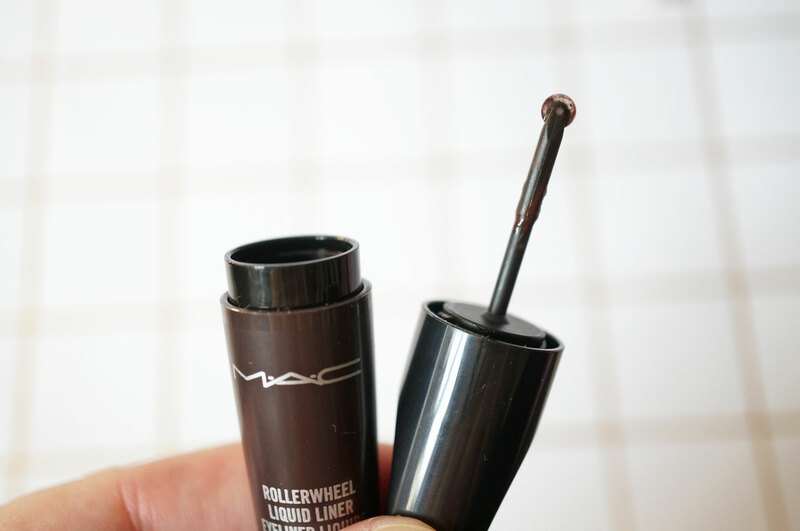 It has a dual chamber which contains a large brush for the upper lashes, and a mini brush for lower lashes – with each having different mascara formulas to suit the upper and lower lashes too. The formula promises to do everything you’d expect, apart from being flake proof and smudge proof, the larger brush delivers customized volume to the top, whilst separating the lashes, while the smaller brush creates smudge-proof definition to the bottom. Though personally my super short lashes find the large main brush a bit on the big side, I love the mini brush for the bottom lashes, and the formula is fantastic too. Royal Hour – a deep royal purple with blue pearl. Foiled Rose – a brightened blue pink. Hades Fire – a cool red burgundy. Silver Spoon – a multidimensional silver. In Lust – a light warm neutral. Jupiter – a bronzed neutral. Pearly One – a confetti’ed white frost. Disobedient – a deep burgundy red wine. Anything Once – a blackened blue with multi-colored pearl. Metalwork – a pale beige with golden shimmer. Love’s A Gamble – a light pink with peach and silver shimmer. Rose-Dipped – a mid-tone pink with gold and silver shimmer. Wild Nectar – a rose with silver shimmer. Optix – an orange with gold pearl. Ionized Iris – a bright fuchsia with multi-color pearl. Pale Rose – a cool muted neutral pink. Cold Front – a frosted periwinkle blue. Anything Once – a blackend blue with multi-colored pearl. Rose-Dipped – a midtone pink with gold and silver shimmer. 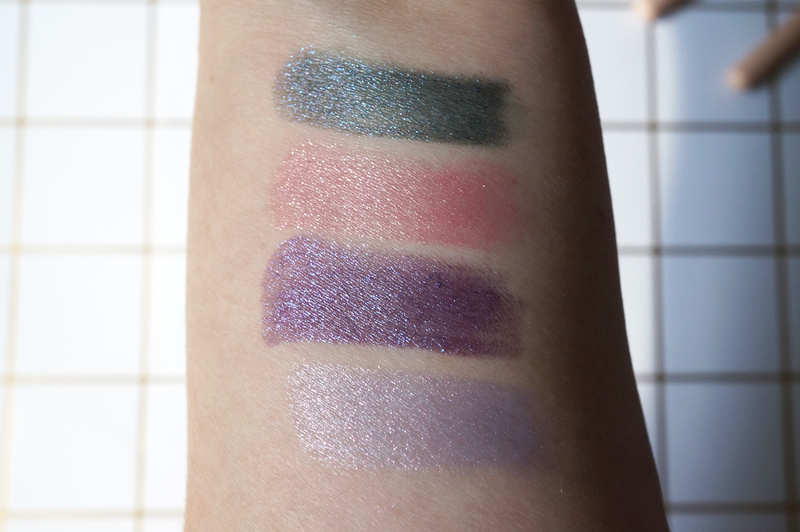 You can see all the shades offer decent pigmentation, but are still on the sheer side. If you’re looking for full coverage then these are not for you! 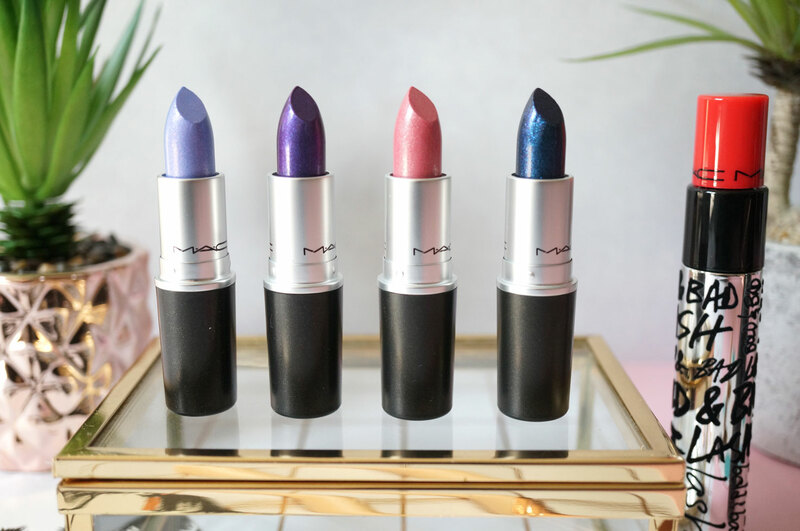 However, they do look great worn on top of a liquid lipstick, which gives a nice base to set off the shimmer and sparkles. 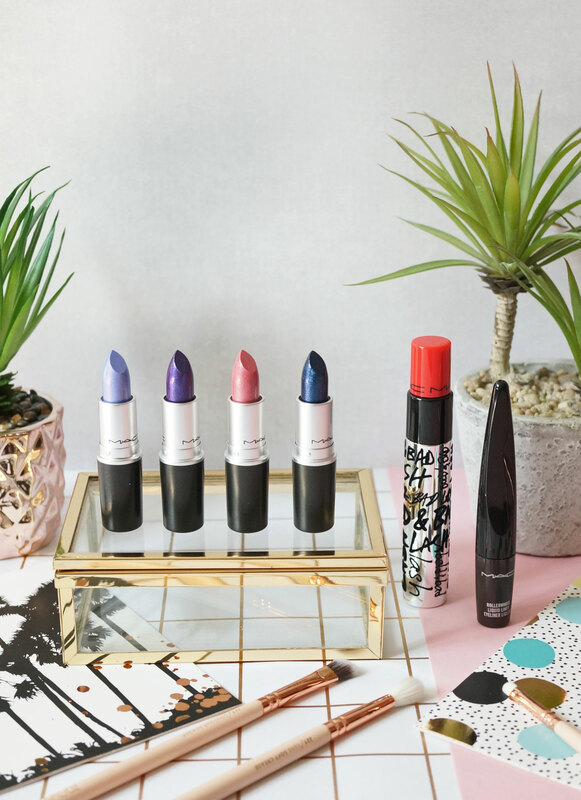 All the above products are available to purchase now at MAC and Selfridges.